“I am, therefore I exist,” is a phrase affirming one’s existence. It may be a simple phrase, but it says everything about the person saying it. It indicates a confidence that you don’t normally see in other people. But why do we need affirmations? Why do we need to be affirmed? Affirmations are a very powerful technique to empower one’s subconscious. Once the subconscious is disciplined to believe the affirmation, the latter is converted into a positive action for the conscious mind. Through affirmations, we are empowered to do, to work, and to strive for more things. Affirmations allow people to believe in themselves and to put their thoughts into action. Affirmations are a combination of verbal and visual techniques of a preferred state of mind of a person. Strong affirmations can be very powerful and can be used by almost anyone to achieve goals and fulfill desires. However, the power of an affirmation depends on how strong or weak an affirmation is. An affirmation is merely an assertion made by a person, about something or about a state of being. A person can affirm those that they choose to attain, like “I now have a good life.” Being healthy in mind, body, and spirit can also be made possible through affirmation. To be effective, an affirmation must be repeated. Repetition works and influences the subconscious, which in turn motivates the person into acting out his or her affirmation. A person who creates the affirmation should be deeply involved with the words they will be using, so they will be able to actualize their affirmation. Writing words that one believes in can be very powerful, and this can be put to good use when creating an affirmation. 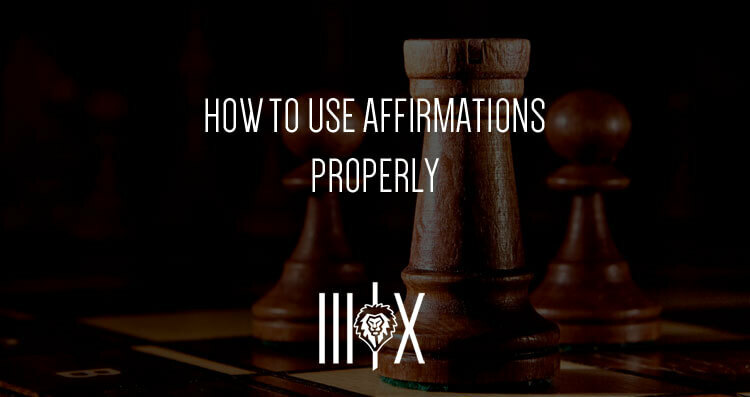 While affirmation is generally used to make an individual better, it can also be used to boost or confirm another person’s value. By affirming another person‘s existence, you are helping them improve their self-worth. An affirmation is a very simple thing that can make a very big difference in a person‘s life. It can be a great motivator and can make things happen.